Home HOME FURNITURE Kitchen Furniture What Is So Special About Modern Kitchen Cabinets? When most people have the option to switch to modern kitchen cabinets, they usually switch over to them in a heartbeat. There is nothing wrong with sticking with more traditional kitchen cabinets, but the modern cabinets are usually going to fit in better with a modern home. The type of cabinets that you put into your kitchen really depends on what kind of style you would like to see throughout your entire home. Most people only think about designing each room in their house one by one, but you should really try to design the entire interior of your home as if it were one room. 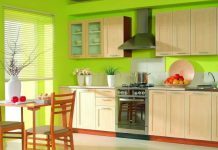 Modern kitchen cabinets are always a great choice when you have a new home, but they may not be the best option when the rest of your home is not exactly up to date. You can start turning your home into a more modern house by starting with the cabinets, but you will usually want to make the transition from a traditional home to a modern one rather quickly. The homes that can really benefit from a modern style are going to be the smaller homes because a modern style can usually make the room look much bigger. You don’t have to worry about people feeling cramped in a modern kitchen because there will be plenty of space to move around. You definitely won’t find an island in most modern kitchens because the modern style is all about leaving as much space as possible throughout the entire home. You should keep your kitchen simple if you are going to use modern kitchen cabinets because the modern style does not involve putting a lot of materials in the same room. 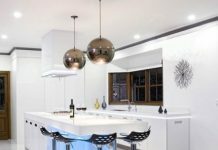 You won’t be trying to cram everything into your kitchen when you are trying to modernize your home and you may even turn another room into your new dining area. As long as there is a lot of walking space in your kitchen, your modern cabinets should turn out to be a good idea. 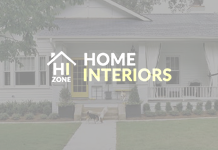 Color is another big factor in the style of your home and a lot of people think that a good color scheme is really what makes or breaks a home’s design. You have to be careful about using bright colors in a modern design because sometimes that juxtaposition will not work too well with the simplicity of the overall design. It’s usually a good idea to keep the color scheme simple if you are going to be using a simple and modern layout. You will have plenty of different options to choose from when you are looking at modern kitchen cabinets, so don’t worry about rushing into a decision. By taking your time and thinking deeply about your final decision, you can make sure that you won’t have any feelings of regret when it’s all done and the cabinets have been installed.